Click Hosting at the top of your account. On the left side, click on your wordpress database. 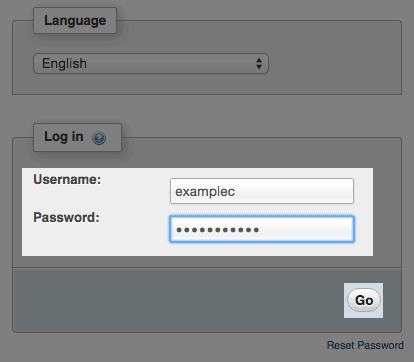 Selecting a database in phpMyAdmin. Note the prefix attached to your database tables. 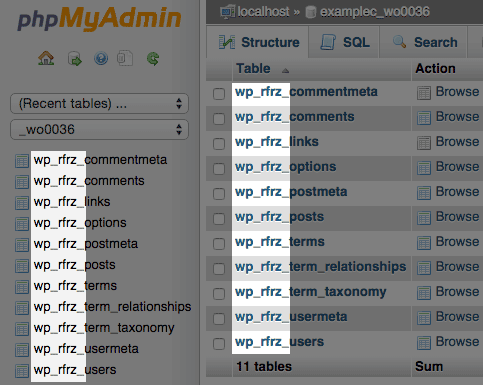 In our example database, all table names begin with wp_rfrz_. This is our database prefix. Yours will differ. These steps explain how to clear the comment meta data. Replace your_prefix_ with your database prefix. These steps explain how to clear the post meta data. At the top of phpMyAdmin, click the structure tab. Select the comments, commentmeta, posts, and postmeta tables. 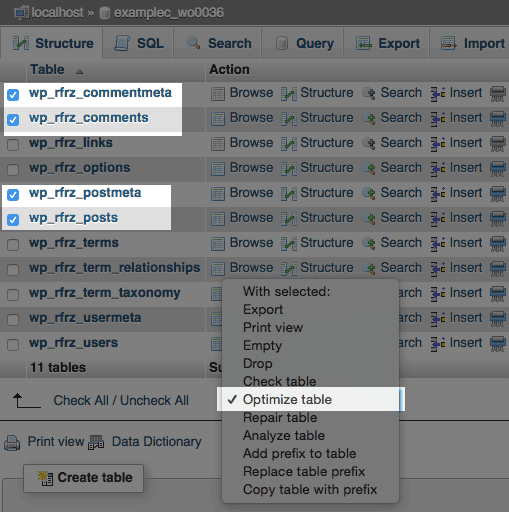 In the drop down menu labeled With Selected, choose Optimize Table. The tables should now have unnecessary meta data removed. If you encounter any issues with the website after this procedure, consider restoring your database using your backup.